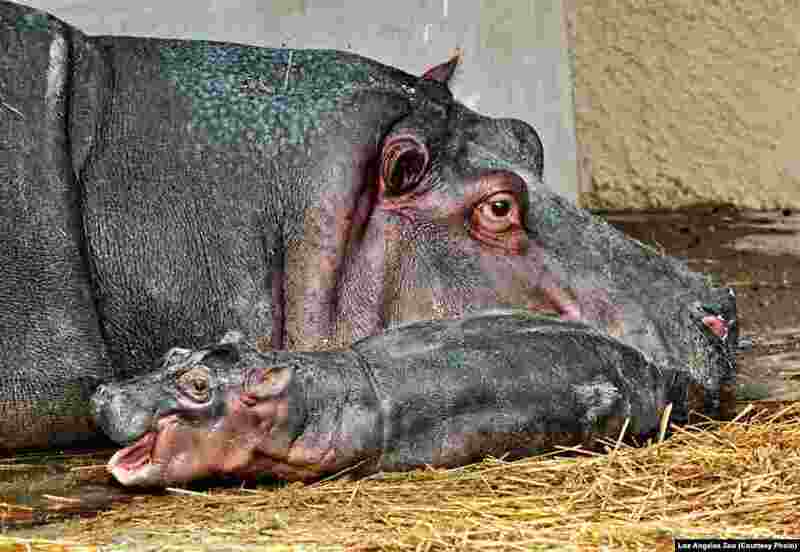 ۵ A hippopotamus at the Los Angeles zoo gave birth last week, surprising zoo officials, since the hippo was on birth control. Mara and her as-yet-unnamed calf are seen in the November 1 photo released by the zoo. It's the first hippopotamus born at the zoo in 26 years. ۶ Liverpool and Real Madrid players jump for a ball during their Champions League Group B soccer match in Madrid. 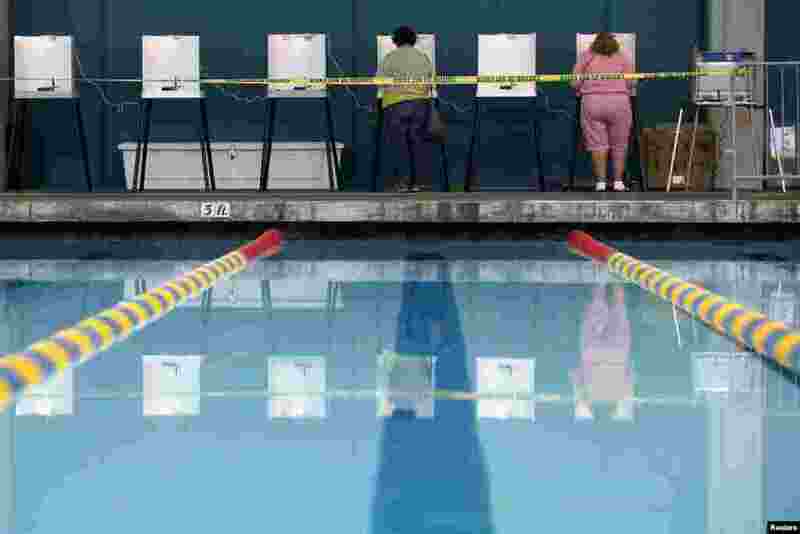 ۷ People fill out their ballots at a polling place at a swimming pool on Election Day in Los Angeles. ۸ Maryland Democratic gubernatorial candidate, Maryland Lt. Gov. 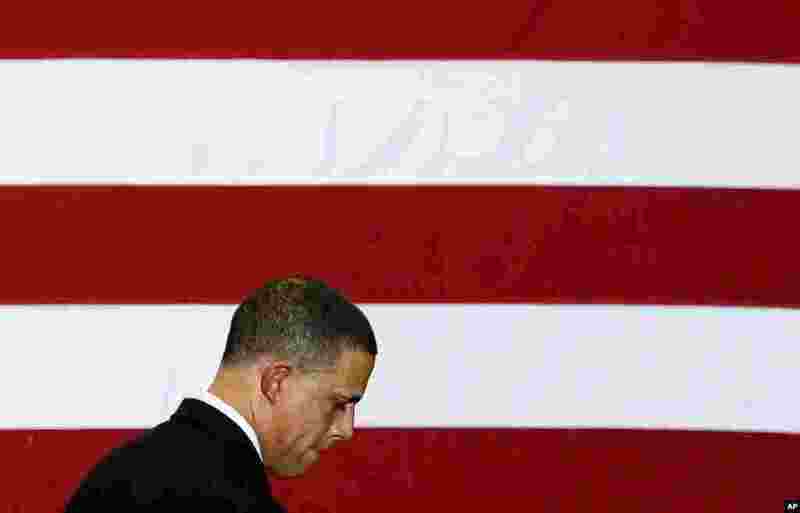 Anthony Brown walks offstage after conceding to Governor-elect Larry Hogan during an election night gathering.